Gale is adept at Physical DPS, also has the ability to Silence magic users. Unleash a hail of arrows to deal massive Physical Damage to multiple enemies. Upgrade the skill to shoot more arrows. 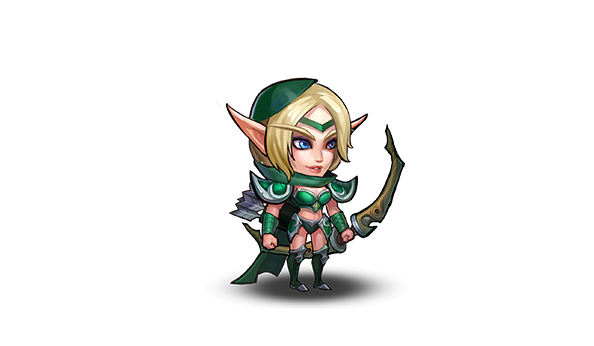 Shoot an arrow tipped with deadly poison to deal Physical Damage plus additional damage to a single enemy. Harness the power of nature and increase all allies' Physical Attack.